The Minister's report on the controversial Bastion Point boat ramp proposal in Mallacoota has rejected a key recommendation by the independent expert panel. In a recent survey of EIANZ members the issue that "Ministerial powers too easily over-ride statutory objectives" was fifth on a list of concerns about EPBC Act failure to protect biodiversity and threatened species. As equivalent powers exist in all states, this would indicate a general concern amongst practitioners that Ministerial powers may be over-used in some circumstances. 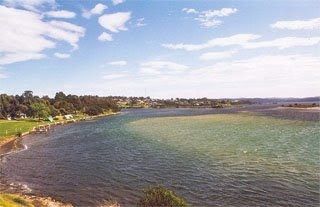 In the case of the Bastion Point boat ramp, the Minister has argued his inquiry failed to account for the health and safety concerns of Marine Safety Victoria and Gippsland Ports, saying: "...it is disappointing to note that a comprehensive safety audit of both the current ramp and future operations was not effectively undertaken". The Minister's rejection was based on his opinion about the seriousness of "practical operating safety", implying that protection of swimmers and surfers out-weighed other considerations. The Minister's report appears to contain no detailed analysis of the benefits of moving the boat ramp against any other social and environmental costs. The development of the Environment Effects Statement commenced in 2000 and culminated in an independent Panel Hearing over a number of weeks last year. After hearing from a large number of experts and hundreds of submitters, the Panel unequivocally rejected all of the options recommended by East Gippsland Shire Council and recommended a low-impact upgrade of the existing structure. Despite this exhaustive process and the Panel’s comprehensive recommendations, the Minister recommended that one of the rejected options proceed. The Minister's assessment and the recommendations of the Panel are available on the DPCD website.